New episode up! Celestia and I talk about Project Blue Book, the Air Force effort to examine UFO sightings, and the upcoming History Channel series based (loosely) on it, and we wrangle F. Andrew Taylor to chat with us about his experiences as a pretend Air Force forensic artist, drawing UFO encounters at the San Diego Comic Con. Then on to the Star Trek convention in Vegas, where Celestia chats with gravity expert Dr. Erin Macdonald (of "Dr. Erin Explains the Universe") and Dr. Angela Mattke, emergency physician and assistant director of the Skeptrack at DragonCon. You can hear the episode HERE! In the latest in a series highlighting past episodes and archives of Squaring the Strange, here's a look back at a show you might have missed: This week Ben, Pascual, and Celestia have a roundtable discussion on the practical aspects of everyday life as a skeptic. Boots-on-the-ground skepticism efforts include social media presence, etiquette, and tactics; picking your battles; and knowing when you need your own little echo chamber for sanity’s sake. Keeping a salon discussion from devolving into a flame war is always the goal, but can anything be gained by out-and-out fighting? Ben talks about the importance in his own investigation work of listening to believers and walking the tightrope of helping them without alienating them. In real life, picking at the closely held beliefs of loved ones can be a minefield—but as skeptics, it feels wrong to go along with notions simply to get along. Finding common ground and focusing on empathy can help people gradually expand their mental framework. Pascual talks about the homeopathic remedies used by many musicians, and we discuss how sometimes just defining a term (or showing someone the fine print on a label) can do all the skeptical work for you. We all share some minor victories and also some pitfalls we have encountered. You can hear it HERE! Squaring the Strange Archives: Episode 26: The Apocalypse, Live from New Mexico Podscape! Ben and Pascual kick off the 2017 New Mexico Podscape festival by musing on natural disasters and cryptids, for instance how Hurricaine Hugo in Puerto Rico helped spawned the chupacabra legend. Then, since a doomsday was recently predicted for the very day they recorded, Ben and Pascual discuss apocolypses (apocolypi?). Interpreting everything from astronomical lineups to hunting out supposed Biblical patterns, people have been predicting the end seemingly since the beginning. 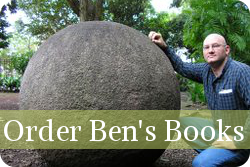 Ben recounts trying to interview an apocalyptic prophet one day after the doomsday he predicted, and harkens back to the 19th-century Millerites, who ended up splintering into the 7th Day Adventists after their predicted doomsday failed to show up. Then to wind up, Pascual talks about “psychic vampire repellant,” which can be yours for $28 on Gwynneth Paltrow’s website Goop. You can here it HERE. You can find more on me and my work with a search for "Benjamin Radford" (not "Ben Radford") on Vimeo, and please check out my podcast Squaring the Strange! Archives, Benjamin Radford, Doomsday, Media Literacy, News, Psychology, Skepticism, Squaring the Strange, Squaring the Strange Comments Off on Squaring the Strange Archives: Episode 26: The Apocalypse, Live from New Mexico Podscape! In the latest in a series highlighting past episodes and archives of Squaring the Strange, here's a look back at a show you might have missed: This week is a departure from our typical format. Ben is busy giving a talk about UFO conspiracies at Bubonicon, the annual sci-fi and weirdness festival in Albuquerque. This year’s theme is time travel, so Pascual and Celestia take the opportunity to discuss various types of time travel and how it’s used (or misused) in fiction. We poke into what physicists have said about the possibility and reminisce about the time-travel conspiracy theories surrounding the Large Hadron Collider. We also chat with a few Bubonicaon participants to see what they have to say about their favorite time traveler. You can here it HERE. You can find more on me and my work with a search for "Benjamin Radford" (not "Ben Radford") on Vimeo, and please check out my podcast Squaring the Strange! In the latest in a series highlighting past episodes and archives of Squaring the Strange, here's a look back at a show you might have missed: This week Ben, Celestia, and Pascual open with a discussion on what people consider uncanny, bizarre, or strange. What takes something from implausible to downright mysterious? An understanding of statistics is one angle to consider, but ignorance of particular fields is also at work: from the World Trade Center to the pyramids to cancer remissions, people who lack the relevant technical knowledge are the ones gobsmacked by particular events or facts. Headline writers emphasize this “bizarre” aspect without providing context, leading many to jump right to conspiracy theories or supernatural explanations. Then Celestia, back from the 2017 meeting of the Institute of Food Technologists, discusses the new GMO documentary, Food Evolution. The film was funded by IFT but director Scott Hamilton Kennedy was given complete control over topic, content, and approach, and he chose to tackle the human side of the GMO/organic controversy. You can hear the show HERE. As we approach our one-year anniversary Squaring the Strange, the podcast I co-host with Pascual Romero and Celestia Ward, I wanted to review early episodes you may have missed! Episode 6: Roswell that Ends Well First, what are we skeptical of this week? Ben discusses the rumors about a "blue whale suicide game" and how it has all the hallmarks of a classic urban legend moral panic: grooming, danger hidden under a parent's nose, specificity and localization, anxiety over new technology, and legitimization by authorities--but zero actual evidence. Pascual talks about Skin Motion, a company promoting new tattoo trend involving soundwaves (both areas of his expertise), and picks apart some misleading things about the process. 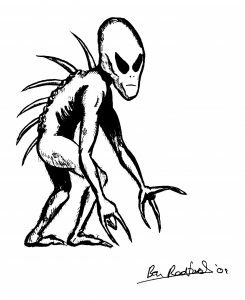 Then Ben and Pascual discuss the different versions of the alleged 1947 alien saucer crash in Roswell, New Mexico, and track how this story changed from something mundane and ignored (five pounds of sticks and tinfoil) to something strange and otherworldly. Roswell is a case that calls out how important it is to seek out earliest original sources, as the space of thirty years and the rise of aliens in pop culture clearly influenced a complete turnabout in interpretation and memories--leading to a cottage industry that produced copycat stories, conspiracy theories, and even phony alien autopsy footage. This is all complicated by the fact that there really WAS a bit of a coverup at Roswell, but not of the type ufo fans want to believe. In the wrap-up, the guys discuss their fond memories of "In Search Of" and, to get really meta, read some viewer mail that discusses previous viewer mail. You can find more on me and my work with a search for "Benjamin Radford" (not "Ben Radford") on Vimeo, and please check out my podcast Squaring the Strange! On a recent episode of Squaring the Strange, we have a roundtable discussion on the practical aspects of everyday life as a skeptic. Boots-on-the-ground skepticism efforts include social media presence, etiquette, and tactics; picking your battles; and knowing when you need your own little echo chamber for sanity’s sake. Keeping a salon discussion from devolving into a flame war is always the goal, but can anything be gained by out-and-out fighting? We all share some minor victories and also some pitfalls we have encountered. Check it out HERE! You can find more on me and my work with a search for "Benjamin Radford" (not "Ben Radford") on Vimeo, and please check out my podcast Squaring the Strange! I will be speaking at Bubonicon, New Mexico’s premiere fantasy/sci fi convention; on Friday night August 25 I will be giving a presentation on “New Mexico’s UFO Conspiracies” and handing out sample issues of Skeptical Inquirer. We will also be recording an episode of Squaring the Strange, so look for my co-hosts Pascual Romero and Celestia Ward! 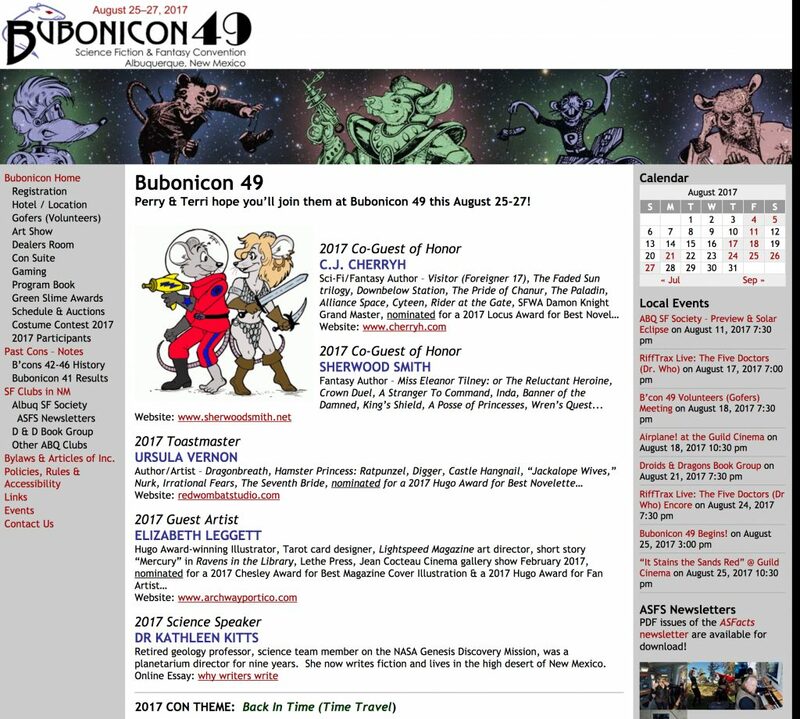 This year's Bubonicon 49 runs August 25-27, and the theme is time travel. There's plenty of authors, experts, and costumed fun. Come check it out! You can find more on me and my work with a search for "Benjamin Radford" (not "Ben Radford") on Vimeo, and please check out my podcast Squaring the Strange! In the recent episode of Squaring the Strange we examine a variety of things including the reputed demise of the MP3 format, the outcome of the "Bring Back Our Girls" campaign, and we take a close look at the principle of corroboration in determining truth. Check it out! You can find more on me and my work with a search for "Benjamin Radford" (not "Ben Radford") on Vimeo, and please check out my podcast Squaring the Strange!